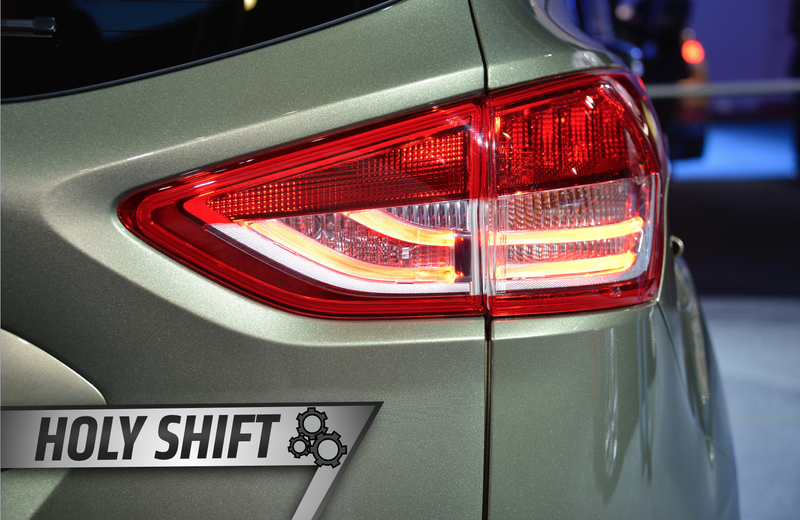 With an absence of illuminated turn signals, cars can be a bit more dangerous at night. We as humans discovered that early on, beginning to dream up ways to make vehicles more fit for the darker hours right around the turn of the 20th century. But, as expected, early attempts weren’t all that efficient. It took until about 1919 for rear lamps to exist on a majority of cars, but their main purpose at the time was simply to illuminate license plates. Ideas for turn signals popped up throughout the first half of the 20th century as well, but electrical turn signals weren’t widely used until midway through the 1950s. Until the electrical signal finally caught on, efforts to communicate a change of direction during the daytime consisted mainly of arm gestures. That proved to influence the appearance of signals on cars, too. If you think that putting fake eyelashes above headlights is a weird trend (it is), it’s no weirder than the standard, non-human turn signals back in their early days. Some of the early light signals copied the original artificial signals (e.g., turn signals were luminous arms that unfolded from the body of the car, similar to driver and bicyclist arm signals). Because the meanings of abstract signals have to be learned and, after some time, are overlearned and generally understood, engineers hesitate to radically change signals. Because of that hesitation, presentations included things like “auto-signaling arms” and pairs of light-up hands that could be attached to the back of a car. Just think about driving around and seeing an illuminated arm or two pop out—it’s like a bad music video with scenic roads and a lot of robot dancing. Another reason for the development of special motor vehicle signals was the fact that automobiles became covered with roofs and windows. It was no longer possible for other road users to clearly see the driver, or gestures the driver might make. Buick officially traded gestures for electrical turn signals in 1939, making the feature a standard one on its cars. Though the manufacturer now spends its days trying to catch up with the times and reach a younger audience, it led the charge back in the early years of safety signaling. By 1970, the U.S. government required signals and brake lights on all cars. Not signals by hand, or signals that looked like hands—artificial ones. And these days, we barely even have to lift our wrists for those.